The Live Action anti-abortion group has released three more undercover videos, which the group claimed show Planned Parenthood employees assisting a man self-identifying as a pimp for child prostitutes get abortions and birth control for “his” underage girls. Planned Parenthood countered by claiming that the “sting” videos are part of a publicity campaign to push legislation that would take away Planned Parenthood’s funding. The three videos — one was taken at each clinic in three separate incidents — show a man admitting he manages teenage girls as child prostitutes. He then asks questions about prices and “identification requirements” for getting STD testing, birth control, and abortions for “his” girls. Planned Parenthood employees are then seen and heard answering his questions. “It’s very clear to us that these tapes show health professionals doing their job,” according to Planned Parenthood spokesman Stuart Schear. “What the tapes don’t show is that after these unusual encounters, these health professionals went to their superiors and reported they had unusual encounters with a suspicious individual and Planned Parenthood managers reported their suspicions to local authorities,” he said. One New Jersey clinic employee who was captured on film was fired as a result. Planned Parenthood claims it notified both local and national authorities after the encounters. 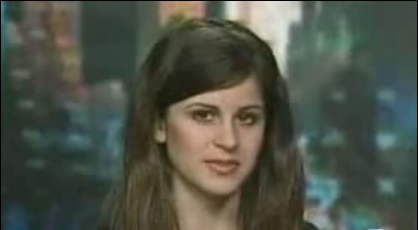 Live Action founder Lila Rose (pictured), who recently appeared as a guest on WINA, said her group will send the Virginia footage, including that shot in Charlottesville, to state law enforcement officials and Virginia Attorney General Ken Cuccinelli. I’m withholding my opinion until I actually SEE the video and HEAR what each party said and the WAY it was said. It sounds really bad, but I don’t want to be the victim of spin. Both sides are a bit too passionate to be fully trusted. God bless Lila Rose. May she have strength to weather the storm that is surely coming for her. Entrapment pure and simple. Ten to one the little Christ-lover altered the tapes. They absolutely hate anyone who gives free choices to our young women. Control, control, control is their game and they’ll do *anything* to achieve it. Shame on you Jake. Everything you said is speculation; you don’t know that any of that is true. And your words are hateful — listen to yourself when you calm down! And thanks to Wenn Quiller. Lila Rose will need strength. There are people much worse than Jake out there who hate her. And they might try and hurt her to shut her up. Lila Rose is a student activist at UCLA who has dedicated herself to building a culture of life and ending abortion. At age fifteen, Lila founded Live Action, which is now a growing nonprofit with several chapters in California. Live Action is a youth-led organization and uses new media to educate and mobilize both local and national audiences to demand accountability from the abortion industry and human rights for the pre-born. Lila has led numerous undercover stings through Live Action, exposing corruption and illegal activity within Planned Parenthood, the Nation’s number one Abortion provider. “The Mona Lisa Project,” vividly illustrates how Planned Parenthood’s ‘abortion-first mentality’ leads it to disregard state laws meant to protect young girls, instead sending them back into the arms of their sexual abusers. It has prompted officials in several states to take action against Planned Parenthood. Planned Parenthood affiliates are the subject of ongoing investigations in Indiana and Alabama, and the Tennessee legislature recently voted to end up to $1.1 million in taxpayer subsidies to the abortion provider. Similarly, the Alabama Department of Health put the Birmingham clinic under severe investigation as a result of the undercover video taped there. The clinic has been put on a one-year probation as the investigation continues to uncover illegal and wrongful proceedings. Also released is a collection of phone calls made too the Planned Parenthood Development offices under the name of “The Racism Project,” which captured Planned Parenthood employees behaving hospitably to and receiving donations from an actor posing as an outspoken racist. Lila is currently releasing the “The Rosa Acuna Project” which reveals Planned Parenthood counselors and abortionists manipulating patients and giving medical misinformation. In fall 2006, as a freshman at UCLA, Lila founded the pro-life student magazine The Advocate, administered through the new UCLA student chapter of Live Action. The Advocate has since gone national and is distributed at over 80 different high school and college campuses across the country with a circulation of nearly 100,000. Lila reaches tens of thousands of people every month with the pro-life message through the Liveaction.org and Herestheblood.com web sites. In addition to traveling within the U.S. and sharing her experiences with people of all ages and from all walks of life, Lila has brought her pro-life message to Ireland, Mexico and Canada in the last year. In 2008 and 2010 respectively, Lila was awarded the inaugural Life Prize by the Gerard Health Foundation and the Young Leader Award by Susan B. Anthony’s List. A frequent guest on radio and television programs, Lila has been featured on The O’Reilly Factor, Hannity’s America, The Glenn Beck Show, EWTN, and The Laura Ingraham Show. Numerous newspapers and blogs have also covered her work, including feature pieces by Reuters, the LA Times, the Wall Street Journal, Washington Times, and National Review. The Associated Press and UPI frequently publish stories on Live Action’s work, and Lila speaks at national and international pro-life events.